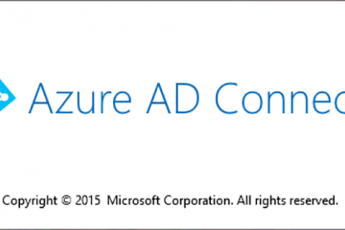 I hope there is no need to explain what is “Azure AD Connect” :). We like it or not, but all organisations, that want to work with Office 365 / Azure probably be starting with a hybrid configuration where existing Active Directory objects (and in some cases passwords) on-premises sync to Azure AD using Azure AD Connect. So, what is Pass-Through Authentication and How Does It Work? 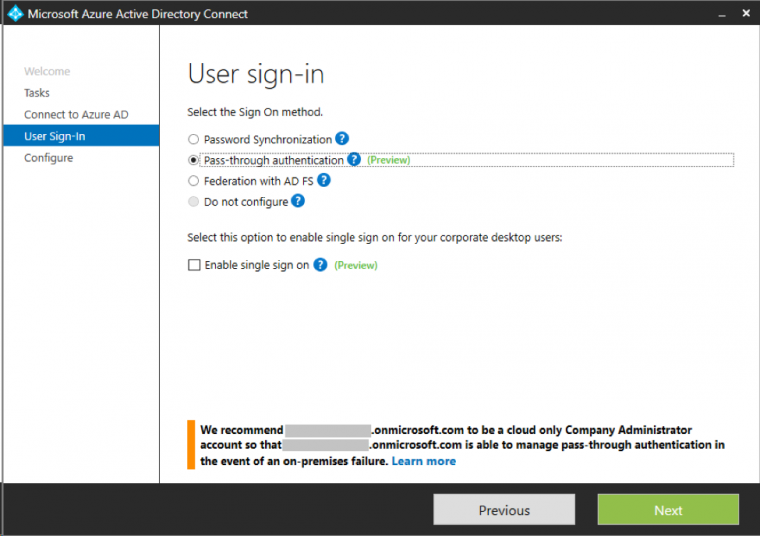 Azure Pass-Through Authentication routes authentication requests from Office 365 through a simple connector deployed on-premises to our on-prem Active Directory. The connector uses only secure outbound communications, so no DMZ or Internet-facing endpoint is required. Pass-through Authentication uses Kerberos authentication between the on-prem connector and AD, so it offers a true SSO experience for users on domain-joined computers. Note: SSO can be enabled by clicking the “Enable single sign on” check box. on the same server, where AAD Connect is installed. Azure Pass-Through Authentication only works with Office 365. If our organisation requires an authentication solution that also works with other claims-based cloud applications like Okta, AWS, Salesforce and etc., we’ll need to use a claims-based solution like ADFS!